Starting a Lean Program with a few enthusiasts is easy. Creating a sustainable Lean Program which involves and engages all of the employees is hard. It takes strong leadership, a change in culture, willing people and excellence across all functions and levels of the organisations. Few have truly succeeded in doing this. Advanced Lean Masterclass program has been designed and delivered Professor Peter Hines to show you how to do this. It is not for beginners. In it you will learn that the starting point is not the traditional Lean or Six Sigma tools but the identification of the culture you want and the behaviours you need to make it flourish. 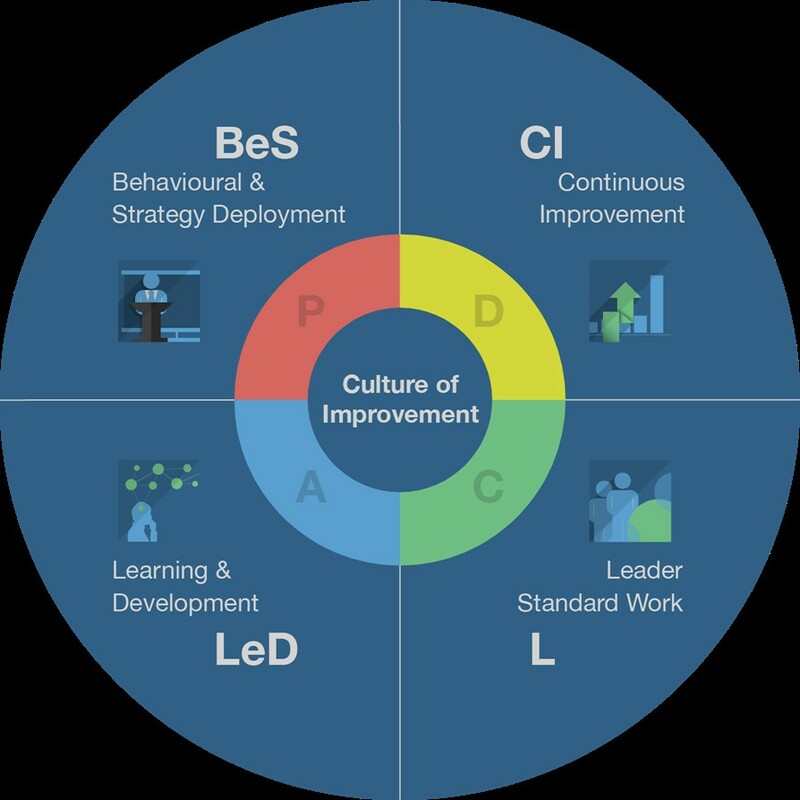 You will then learn how the very best organisations define and implement 4 Core Operating Systems that are designed to be both technically and behaviourally excellent. Each of these will be reviewed in depth. The learning is largely gemba-based and is delivered on-site in 3 leading organisations (1 in Finland and 2 in Ireland). At each site you will have the opportunity to learn from a site tour, the tuition from Peter as well as a total of 6 gemba-based learning exercises reviewing how the organisations apply the theory in practice. You will learn by identifying strengths and opportunities at these firms within the 4 Core Operating Systems. The program goes beyond the normal Tools & Techniques of Lean and is designed for Senior Directors and Managers and Improvement professionals looking to create sustainable success. Learn and explore about Advanced Lean in practice, not just in the classroom by undertaking 6 gemba-based learning experiences in leading organisations. Peter Hines has consistently been one of the top rated instructors at Aalto EE and is regarded as the #1 Lean expert in Europe. Come to the Advanced Lean Masterclass if you aspire to create a sustainable Lean Program. Find “the missing element in Lean” and understand the conditions that enable you to take your own Lean Program from being good to being truly excellent. The training will give you the knowledge of how to do this through gemba-based learning exercises reviewing how leading organisations apply the theory in practice. You will also get a free copy of the companion guide “The Essence of Excellence”. Senior Directors and Managers, Improvement Agents such as Lean Coaches from any industry who aspire to the best. People attending the Advanced Lean Masterclass might find they face one or more of these problems: a difficulty in engaging all of the senior team, middle managers or front line employees; issues around the sustainability of their Lean program, the fact that their exist-ing Lean Program is not consistently delivering the results they desire. The three modules focus on the culture and behaviours that drive enterprise excellence. You will learn the 4 Core Operating Systems, each of which will be reviewed in depth. The structure of each module is Theory, Practice and Gemba-based Learning. The program is highly participative and involves 3 site tours, theory from Professor Hines together with 6 gemba-based learning exercises involving discussions with employees from the firms involved. In the first module you will get an Introduction to Advanced Lean and Excellence Culture and an insight to The Behavioral Deployment. The second module covers The Strategy Deployment System and The Continuous Improvement System. The third module concentrates on The Leaders Standard Work and The Learning & Development System. Professor Peter Hines, is the Co-Founder of the Lean Enterprise Research Centre at Cardiff Business School. LERC grew to be the largest academic research in lean globally. Hines is Europe’s leading authority on Lean having had 30 years experience of research, writing, consulting and training. Hines has undertaken extensive research into Lean and written or co-written twelve books including Shingo Prize winning books “Staying Lean”, “Creating a Lean & Green Business System”. His most recent book “The Essence of Excellence” was published in January 2019. Peter is the founder of S A Partners, a specialist consultancy organization that assists companies in applying Lean. He also continues his academic links and is a Visiting Professor at Waterford Institute of Technology, Senior Certified Facilitator with The Shingo Institute at Utah State University and visiting roles in Universities across Europe and North America. The fee for the Advanced Lean Masterclass is € 5,900 (+ VAT). Register for the program by October 11, 2019.